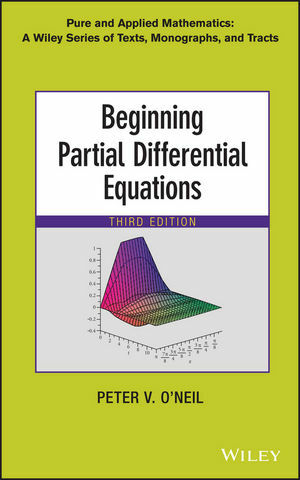 Featuring a thoroughly revised presentation of topics, the Text & Student Manual Set of Beginning Partial Differential Equations, Third Edition provides a challenging, yet accessible, combination of techniques, applications, and introductory theory on the subject of partial differential equations. 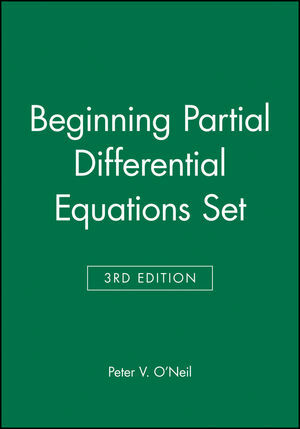 The new edition offers nonstandard coverage on material including Burger's equation, the telegraph equation, damped wave motion, and the use of characteristics to solve nonhomogeneous problems. 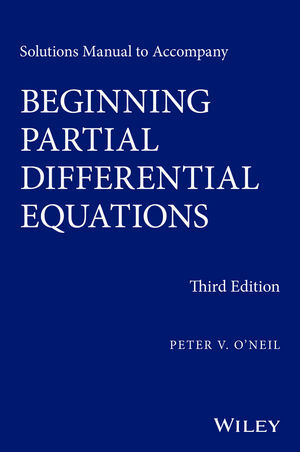 Peter V. O'Neil, PhD, is Professor Emeritus in the Department of Mathematics at The University of Alabama at Birmingham. Dr. O'Neil has over forty years of academic experience and is the recipient of the Lester R. Ford Award from the Mathematical Association of America. He is a member of the American Mathematical Society, the Society for Industrial and Applied Mathematics, and the American Association for the Advancement of Science.